Many visitors to Anthony’s Chophouse will feel a touch of nostalgia. The new Carmel restaurant, which opens this month, will feature the Glass Chimney room, whose centerpiece is a mahogany bar. The room pays homage to the upscale Carmel restaurant, which closed in 2008 after 32 years. The building, 201 W. Main St., is owned by Chuck Lazzara, co-owner of Ritz Charles. The restaurant is owned by his son, Tony Lazzara, and wife, Kayla. 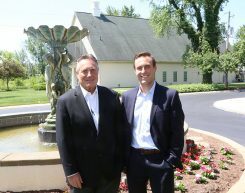 Lazzara and his son met with the owner, Mike Cunningham, in 2014 to ask if they could buy the mahogany bar. Cunningham agreed because he didn’t have plans to use it. So, they had the bar taken apart by a master carpenter to move it. Tony estimated it was around 100 pieces. The parts were stored in relatives’ homes before it was put back together at the restaurant. The master carpenter oversaw the assembly. In 1998, Glass Chimney owner Dieter Puska, with a builder friend James Taylor of Custom Homes of Carmel, decided to establish the Glass Chimney Bar room. 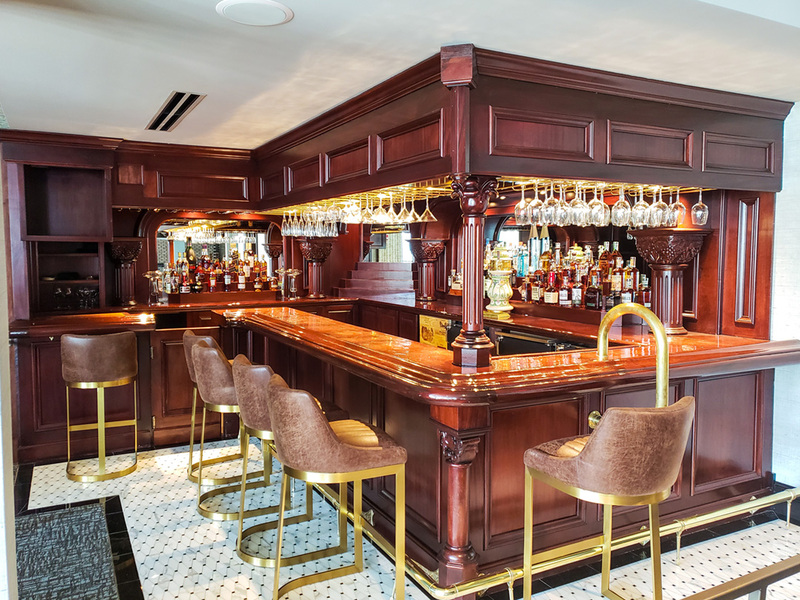 The mahogany bar was built the same year, and it became one of the hottest spots in Carmel. People entering the Glass Chimney would be greeted the tuxedo-dressed Gabriel Piron. Puska opened the original Glass Chimney restaurant in the Main Street shopping center at Old Meridian Street in 1976. In 1979, he moved around the corner on the Old Meridian Street to a larger spot he had to remodel. Lazzara said Puska has offered to display his cognac collection at the bar. Lazzara moved to Carmel in 1975, working as a real estate agent before opening Ritz Charles in 1985. A 2008 Carmel High School graduate, Tony made the feasibility of a downtown Carmel steakhouse his DECA project as a senior. Anthony, who played golf at Ball State, graduated from Ball State’s entrepreneurship program in 2013, using the steakhouse as his thesis.